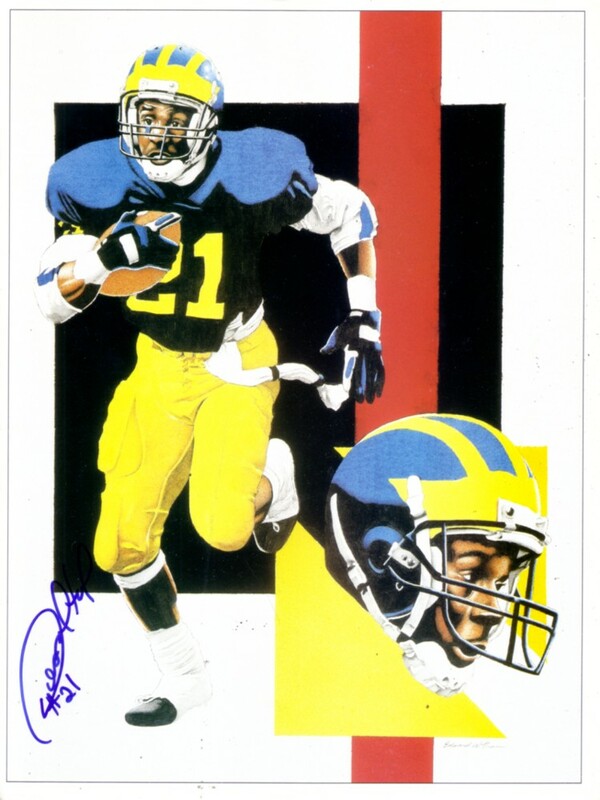 Artwork of Michigan Heisman Trophy winner Desmond Howard from the inside cover of Beckett Future Stars magazine, autographed by Howard in blue marker. Measures about 8 by 10 inches, suitable for framing. ONLY ONE AVAILABLE FOR SALE. Obtained at paid National Sports Collectors Convention signing several years ago, with certificate of authenticity from AutographsForSale.com.